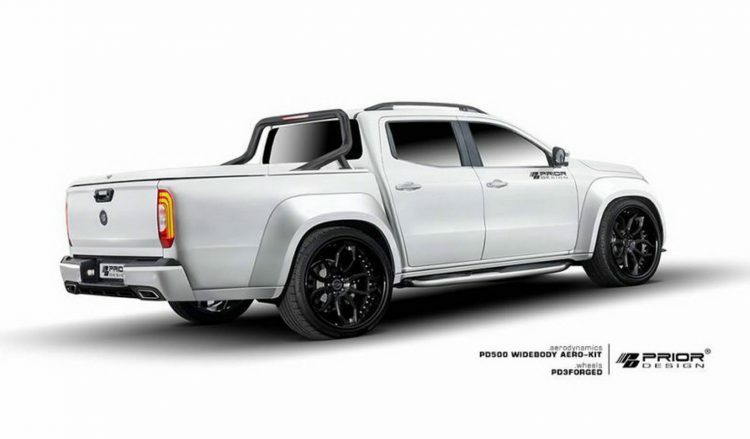 The all-new Mercedes-Benz Navara… erm, X-Class ute has only just gone on sale in some markets, but it hasn’t stopped renowned bodykit designer Prior Design from coming up with a chunky wide-body package. 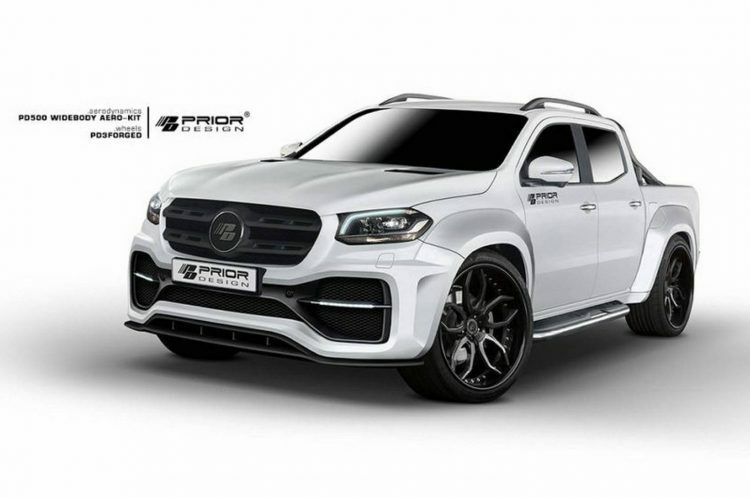 Prior Design has developed a complete bodykit which sees the front bumper bar swapped for a custom item. 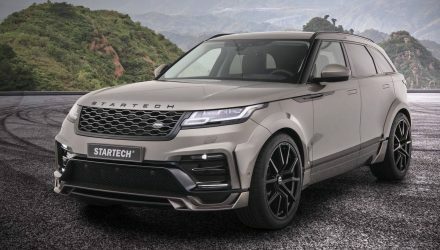 Aside from being wider to suit the bulging wheel arches, the front bumper uses big intakes on the sides and a low chin spoiler for that sporty look. 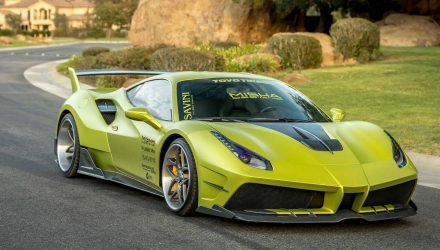 Along the sides you’ll notice the huge wheel arch flares. These extend the width of the X-Class and help it stand out on the road. And they also accommodate a set of deep-dish PD3Forged wheels coated in the fashionable black paint. The wheels are custom developed by Prior Design. Around at the rear is a custom bumper bar with bespoke exhaust slots and a neat little diffuser in the middle. 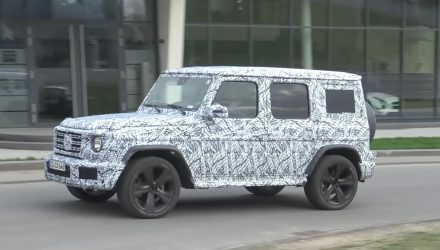 Other garnishes that help with the overall theme include a black sports bar in the tray area, and a custom front grille also in black. There’s no speak of any changes under the bonnet, however, in flagship form the X-Class already comes with the most powerful diesel engine in the class. It’s a 3.0-litre turbo-diesel V6 producing 190kW and 550Nm. This is connected to a seven-speed automatic transmission. 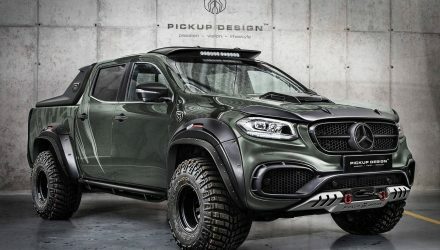 We’re sure there will be plenty of X-Class utes driving around in Australia real soon, and we’re sure there will be plenty of owners wanting to customise their vehicles to help demonstrate some exclusivity and personalisation. The Prior Design kit is certainly some great inspiration. What do you think?